Joe Daniel submitted this photo and caption. 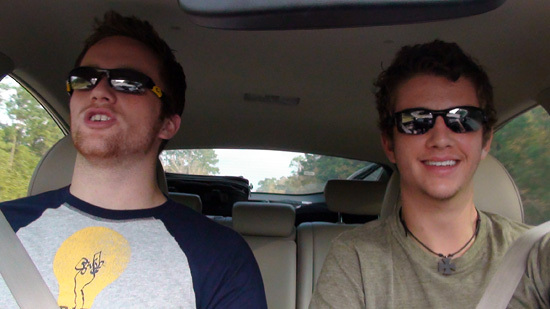 This picture was taken of Matt Renfro (08-09) and David Daniel (08-09) Crossmen's soloists from 2008 on a road trip to see fellow Crossmen trumpet player Aaron Barnes (09). It's great going to the same school with the people you march with but you still miss those you can't see as much. So we took a little road trip to see our friend in Houston.